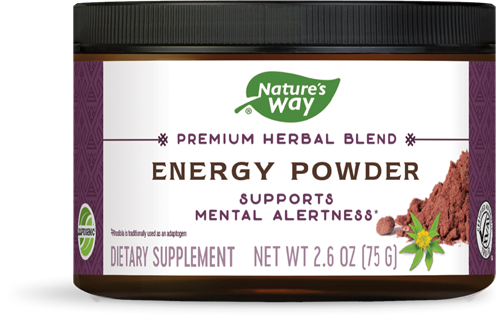 Energy Powder - Nature's Way®. Take 1 teaspoon (tsp) (2.5 g) once daily, or as recommended by a healthcare professional. Mix with your favorite beverage. Do not use this product if taking antidepressant medications. If pregnant, nursing, or taking any other medications, consult a healthcare professional before use.